Can Alberta end its reliance on coal? Picture yourself in the baking aisle of the grocery store, picking up a five-pound bag of flour. Feel the heft of the bag and the slight dusting of flour on your hands. Got it? Now put another bag of flour into the cart, a couple two-pound bags of sugar and a half-pound of icing sugar to top it off. That’s 14½ pounds of baking supplies. Now try to imagine 1,000 shopping carts filled with those same groceries spread out in the parking lot. That’s 14,500 pounds. If you live in Alberta that’s how much coal you burn every year. Or at least that’s your share. It’s about 40 pounds a day. Every day, Alberta consumes more than half of the coal used for power generation in Canada. That makes the province ground zero for all things coal in the country. And right now, coal has plenty of issues. After providing countless kilowatts of electricity in Canada and the US, coal is now a preoccupation for environmental policy makers in both countries. In September, Environment Canada came out with new regulations that could mean no coal-fired power plants are ever built here again. Under President Barack Obama, the US Environmental Protection Agency, similarly, is hastening the closure of hundreds of coal-fired electricity generating stations. For some of coal’s critics, it’s a long-awaited victory. They also know it hardly spells the end for King Coal, which has survived much fiercer opposition than a few johnny-come-lately regulatory changes. Coal currently accounts for roughly 60 per cent of Alberta’s power generation, compared to 16 per cent for Canada as a whole. In the US, 42 per cent of the country’s power comes from coal. Indeed, across North America, coal-fired plants form the backbone of an electrical grid that’s taken the better part of a century to assemble. Dismantling this network just isn’t in the cards. Notwithstanding the fortune spent on the labyrinth of power stations and transmission lines scattered across the continent, our society and our economies—whether we want it or even realize it—are addicted to the steady steam of electricity those plants kick off. Cheap and reliable power forms the foundation of empires past and present, and ours is no different. What’s changed is our understanding of the costs of that power. Alberta is at a nexus of sorts. Our fleet of coal-fired power plants is aging. A big chunk of Alberta’s power supply, for instance, comes from facilities built in the 1970s. As these plants near the end of their useful lives, the province has a window to make decisions that will affect how power is generated here for decades to come. It’s a rare opportunity. The power industry is the definition of a long-lead-time business. Plants on the drawing board today are already being counted on to supply electricity years down the road. At the same time as Alberta’s fleet of power stations is beginning to turn over, federal and provincial policy makers have come out with new regulations to curb future carbon emissions. In addition, economic growth and a rising population will require Alberta to increase total electricity production by nearly 50 per cent within the next decade. Taken together, all of that means choices made today will go a long way in determining what Alberta’s electrical grid—and its emissions—will look like until the middle of the century, if not longer. Cheap power forms the foundation of empires. What’s changed is our understanding of the costs. Whether coal giveth more than it taketh away is hardly a new question. In England, blacksmiths have been burning coal since the Middle Ages. The first complaints came shortly after. In the 14th century, King Edward I instituted a ban on coal to appease nobles bothered by its noxious odour. It didn’t last. Aversions to the smoke and stench were no match for its blessings. And so it’s been ever since. The soot, smoke and other nastiness that come from burning coal are trumped by what it brings to the table. From its earliest uses, coal has been alternately lauded and vilified. As Emerson suggests, perhaps nothing is as singularly responsible for bringing the comforts of the industrial age to humanity. Much of the warmth, mobility and industry the world now takes for granted can be traced back to coal. In the 18th century, coal brought the steam engine to life, and the steam engine opened up the world. Certainly, the legacy of the industrial revolution isn’t entirely positive, but it’s not like life beforehand was a prelapsarian picnic. Suffice to say that from an economic standpoint those lucky enough to sit atop abundant stores of coal have long luxuriated in the advantages it gives them over places that don’t. Alberta, naturally, counts itself among the lucky. Of Canada’s bountiful coal reserves, 70 per cent are found here. Broadly speaking, coal can be divided into two types: metallurgical coal, used in steel-making; and thermal coal, burned to produce electricity. The province’s “met” coal, as it’s known, is moved by rail to the coast. From there it’s loaded onto ships and makes the long voyage across the Pacific, where it eventually ends up in the steel foundries of Japan and other places. The relative scarcity of met coal makes it worth the trouble and expense of shipping it across an ocean. Thermal coal—which is more readily available around the world, is not as pure and contains less energy for the same volume—is a different story. The name of the game for thermal coal is proximity. The prohibitive expense of shipping thermal coal across an ocean makes the very idea a non-starter. Net-net, transporting the coal would take more energy than the power produced from burning it. That’s why, ideally, coal mines and power plants are located side-by-each in what are known as mine-mouth operations. If a company mines its own coal as feedstock for a power plant, it can cost less than $20 a tonne. In comparison, contracts for steel-making coal range upwards of $200 a tonne. In Canada, production of met coal is dominated by BC. By comparison, Alberta churns out less than an eighth of what BC extracts from mines in places such as Sparwood and Elkview. Thermal coal is a different story. Output from Alberta’s eight thermal coal mines, which are scattered through the centre of the province between Calgary and Grande Prairie, accounts for roughly 70 per cent of the thermal coal produced in Canada. The largest of these mines, Highvale, west of Edmonton, is far and away the country’s biggest coal mine. At 13 million tonnes, its output is more than a third of Canada’s total annual production. In 2011 the province collected $6.5-million in royalties from thermal coal. Including met coal, the tally came in at over $31-million. That’s notable, but relatively speaking it’s a drop in the bucket compared to the oil and gas industry, which sent more than $7-billion into government coffers last year. Royalties, however, aren’t all the province gets from its coal reserves. For their 40 pounds a day, Albertans get power—and lots of it. 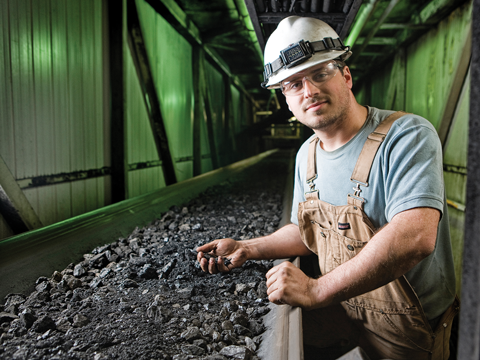 In Alberta, coal possesses at least four qualities that make it the fuel of choice for power generation. It’s abundant, relatively cheap, reliable (it doesn’t need the sun to shine or the wind to blow) and the infrastructure it feeds is already bought and paid for. 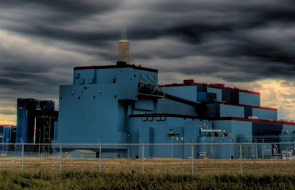 Alberta produces coal-fired power at only six sites, but those plants combine to kick off 6,242 MW of power, or 46 per cent of the province’s total capacity of 13,660 MW. The province’s coal-fired generation is ahead of natural gas (40 per cent) and way out in front of wind (6 per cent) and hydro (6 per cent). The utility sector is Alberta’s largest source of GHGs, accounting for 40 per cent of total emissions. It’s that last bit, the environment, that moves the story of coal from a benign tale about economic prosperity into a darker place. The everyday to and fro of flicking on light switches, recharging cell phones and toasting bagels comes with a steep price. “You can pick a pollutant, basically, and it’s probably coming from a coal plant,” says Tim Weis, a director of renewable energy policy at the Pembina Institute, an Alberta-based environmental think tank. Burning coal produces a raft of by-products, none of which can be considered remotely good. Among them are lead (bad for the brain), sulphur dioxide and nitrogen oxides (which cause acid rain), chromium and arsenic (carcinogens) and mercury (which eventually ends up in oceans, poisons fish and is the reason pregnant women avoid sushi). Then there’s air pollution. Coal certainly isn’t the only contributor to smog, but it’s a biggie. A study by the Canadian Medical Association found that poor air quality caused 620,000 doctor visits in 2008. The CMA pegged the economic costs of bad air that year at $8-billion. None of that even accounts for the main problem. From a global perspective the most profound worry about coal-fired power generation comes from carbon dioxide: more greenhouse gases come from power generation than any other sector. Numbers from the International Panel on Climate Change show the power and industry sectors combine to contribute 60 per cent of global carbon dioxide emissions. Alberta is no exception. The utility sector is the province’s largest source of greenhouse gases, accounting for 40 per cent of emissions, according to a 2009 report from Alberta Environment. In short, burning coal creates a heck of a lot of CO2. In an effort, presumably, to boil down a complex issue into a graspable notion, the global climate change summit in Copenhagen in 2009 left us with a single number to hang on to—2° Celsius. If temperature increases can be held to 2°, then we just might avoid the worst of the dire predictions for global warming (rising oceans, flooding, drought, species extinctions, famine and the other all too familiar Horsemen of the Climate Change Apocalypse). Right now, the chances of making that target aren’t looking good. Scenarios outlined in a recent report by researchers at MIT put the range of global temperature increases at between 3.5 and 6.7°C by 2100. And that presupposes countries meeting Copenhagen commitments, which is hardly guaranteed. In September, Environment Canada moved forward in its attempt to curtail GHG emissions by adopting new regulations for coal-fired power plants. Conceptually, the new rules, significantly weaker than earlier draft proposals, are designed to phase out coal-fired electricity and replace it with cleaner sources of power. Specifically, the regulations will require new power plants, regardless of fuel source, to meet the same level of emissions as a combined cycle natural gas-fired facility (in other words, a cleaner burning plant that produces both heat and electricity). If, at the end of an existing plant’s “useful life,” defined as 50 years, a facility can meet that standard, it can keep running. If it can’t, it will have to undergo a massive retrofit to bring it up to code or, more likely, close down. The new rules, which will apply to future power generation, come into force in 2015. Alberta’s existing plants, however, can keep running status quo until the 50-year mark is reached. For plants built in the 1970s and 1980 that sets an end date around the 2020s. Newer plants—and their emissions—will be with us for even longer. TransAlta’s new 495 MW Keephills 3 facility, for one, was commissioned in 2011, which means it won’t be up for decommissioning until 2061. Relative to older coal-fired plants, Keephills is a clean-burning operation, but it’s still roughly twice as dirty as natural gas. Overall, the new regulations mean the greening of Alberta’s electricity grid will come in fits and starts over the next five decades. The particulars of how Alberta meets the new federal standards could also change if the province cuts its own deal with Ottawa. Under the new rules, a plant is classified as “existing” if it’s operational before July 1, 2015. As it stands, this would suggest the last coal-fired plant in Canada has already been built. 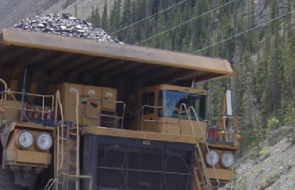 A possible exception is a proposal from Maxim Power to extend the 2015 deadline in order to build a 500 MW coal plant at the site of its current facility near Grande Cache. Critics say the proposal is trying to exploit a loophole that will keep Alberta in the business of coal-fired generation well into the 2060s. According to the Pembina Institute, emissions from the new plant would be the equivalent of adding 600,000 new vehicles to the road. A regulatory decision on the project is pending. The clean-energy potential offered by carbon capture and storage is making strange bedfellows out of environmentalists and the coal industry. In brief, CCS covers a range of technologies designed to cut the amount of CO2 that the burning of hydrocarbons releases into the atmosphere. The best known of these strategies is so-called end-of-pipe technology that captures CO2 as it leaves the smokestack and sequesters the gas deep underground. CCS also includes pre-combustion options that attempt to strip coal of its CO2 before it’s burned. In a perfect world, environmentalists would like to see everything powered by renewable energy, but most know that’s not a practical possibility. For the foreseeable future places with a lot of coal, like Alberta, are going to burn it. Given that reality, developing CCS technology may not be the ideal solution, but it may be the best option the planet has in the fight against global warming. Canada’s coal industry agrees, although for different reasons. In the long term, the pending federal regulations are putting coal-fired power generation behind the eight ball. If existing plants are going to keep burning coal once they hit the 50-year mark, CCS is the only way they’ll be able to meet the lower emissions standards. Readily available CCS technology could also spur a renaissance for King Coal, allowing a new generation of coal-fired plants to crop up in the province. The stumbling block for coal advocates and environmentalists alike is cost. Around the world, CCS projects are still in the pilot stage. The problem isn’t so much technology—we know how to do it—but economics. As it stands, CCS is simply too expensive, which is why no commercial-scale CCS projects exist anywhere in the world. The magic bullet for CCS to become economically viable is for governments to put a price on carbon emissions. If power generators had to pay for the CO2 they create, market forces would bring the price of CCS down in a hurry. Until then, however, CCS is in an expensive limbo. The world needs it, but it’s a money-losing venture for industry. Alberta got a first-hand look at that reality earlier this year when TransAlta cancelled Project Pioneer, a CCS initiative at its Keephills 3 plant. The project was in line for nearly $800-million in grants from the federal and provincial governments, but TransAlta said it still couldn’t make the numbers work. The cancellation was a disappointing setback for both CCS and the province’s hopes to curb GHG emissions. Alberta does charge large industrial emitters $15 a tonne for carbon emissions, but that figure is miles short of the amount that would be needed to provide a power company with the economic incentive to go ahead with a major CCS venture. Right now, much of Alberta’s environmental agenda is based on a climate change strategy unveiled in 2008. In broad strokes, Alberta’s plan targets a 50 megatonne reduction in emissions by 2020. By 2050, the province hopes to halve emissions from business-as-usual levels, which would equate to a 14 per cent reduction below 2005 emission levels. In Alberta’s power generation sweepstakes, coal’s drawbacks are turning into a big win for natural gas. Not only is natural gas cleaner, but the energy industry’s use of fracking and horizontal drilling has opened up new sources of supply that have North America suddenly awash in gas. The abundance of supply and promise of more to come has slashed natural gas prices well below historical averages. The lure of cheaper feedstock coupled with tighter emissions standards means much of the new generation that will come on-stream in the next decade will be fired by natural gas. “In other parts of the world, they’re building coal [plants] like there’s no tomorrow, but in North America? Absolutely, there will be a change-out across all jurisdictions from coal to natural gas,” says John Esaiw, director of forecasting for the Alberta Electric System Operator. According to AESO, Alberta needs to add a significant amount of new generation in the coming years, particularly given the tight correlation that exists between economic growth and electricity usage. A combination of Alberta’s oil-sands-driven economy, a growing population, the retirement of older coal-fired plants and a recent dearth of new generation coming on-stream means Alberta’s electrical grid has a lot of catching up to do. By 2022, the province expects to increase total generation capacity by more than 40 per cent to 19,555 MW. By then AESO expects natural gas will account for 54 per cent of the grid, more than doubling coal’s 25 per cent share. Wind is also expected to make more of a contribution, jumping to 13 per cent, or more than 2,500 MW. In absolute terms, though, coal will still account for 4,832 MW of generation. Indeed, the most recent forecast from the National Energy Board, which uses different assumptions, sees Alberta’s coal-fired generation still accounting for 5,788 MW in 2022, a decrease of only 7 per cent from today’s levels. For those concerned about the huge amounts of CO2 coming from the power sector, the prospect that coal isn’t going anywhere—despite new federal regulations—is alarming. If Canada hopes to truly get a handle on emissions, they believe it must wean itself off coal much faster. Others suggest the considerable hand-wringing taking place in Canada is misplaced. Getting off coal, the thinking goes, will only sacrifice one of Alberta’s competitive advantages, while also making electricity more expensive for Albertans. Moreover, coal-fired emissions are increasing so quickly in the developing world that any cuts made here are insignificant. As per usual, this line of thinking uses China as Exhibit A. By 2025 China plans to build enough power generation, much of it coal-fired, to service another 300 million people. That’s essentially adding the equivalent of the entire US electrical grid over the next 15 years. 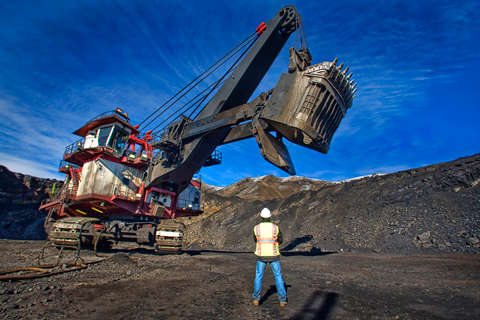 Alberta’s coal reserves, he says, combined with the engineering and geological expertise available here, mean the province could play an outsized role in helping the world tackle the problem of climate change. If CCS can be proven in Alberta, the know-how could then be exported to help clean up coal-fired generation around the globe. Richard Adamson, the director of Carbon Management Canada, agrees. “These arguments that [CCS] is too expensive? To me those aren’t relevant arguments. The question is ‘this or what?’” he asks. “If you can find something that’s less expensive that can be implemented at the scale and at the pace that’s required… then I am 100 per cent behind it.” Getting CCS to the point where it can make a dent in global carbon emissions will take some combination of social pressure and political will. From his vantage point, Adamson doesn’t believe either is currently in place in Canada, though he believes that can change. Scott Fitzgerald once observed that “the test of a first-rate intelligence is the ability to hold two opposed ideas in the mind at the same time and still retain the ability to function.” He may as well have been describing coal. The benefits of power and prosperity that come with burning coal are set against the considerable costs to health and the environment. To date, the immediate has always trumped the eventual, and the world has continued to function. In the context of global warming, however, the planet can’t wait much longer. Opponents of coal can’t understand how anyone—government, corporation or individual—can stand by when the dire consequences of carbon emissions seem so clearly evident. To those on the other side, the arguments for cheap and reliable energy seem equally pressing. Jobs, bills and mortgages are much more tangible than mercury-laden fish, asthma patients and the amorphous hazards of global warming. The world will get off coal eventually—or at least it probably will. But with the clock running on 14,500 pounds apiece, timing clearly matters a great deal. Too fast and economies could suffer mightily. Too slow and global warming may mean the eventual finally closes the gap on the here and now. 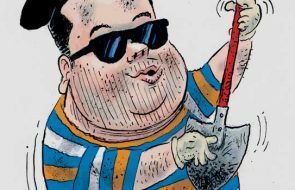 Paul Haavardsrud has reported on the energy industry for Dow Jones, the National Post, the Calgary Herald and CBC radio.